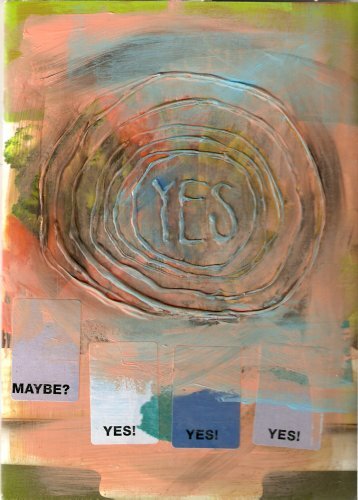 What do you say yes to in life? How do you greet each day with a positive attitude? Make some art about this idea. Return to Erin when filled. There are some bizarre friendships forged in the animal world, and living on a smallholding I have been able to observe some of these strange and unlikely friendships struck between animals. Dogs seem particularly prone to cross-species friendships, and both our sheepdogs have befriended our cats, one also used to babysit the goat kids. Some of those I found are even odder, and most show long-term friendships. I thought about the most icongruous friendships possible between people – Idi Amin and Ghandi perhaps, or … but Mark pointed out that truth is sometimes stranger than fiction: see Lloyd Webber & Brightman for ‘beauty and the beast’ or Arthur Miller and Marilyn Monroe for glamour and Academia. 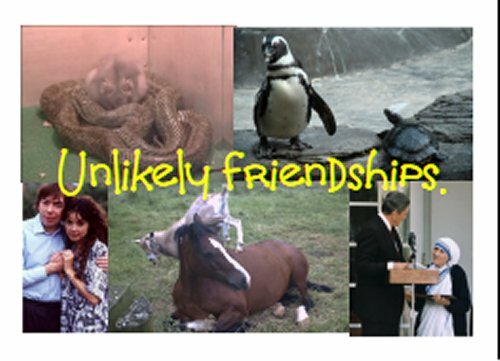 Whether real or imaginary, animal or human this is the place for unlikely friendships of all kinds, your own or those of others. When the journal is complete please reserve it for me and I will mooch it back. If pages start to come loose or extra pages are needed, let me know please, and I can mooch it back and remake the book and repair as necessary. Please see my journalling conditions in my bio. Unfortunately this journal seems to have been kept by an inactive moocher and all attempts to recover it so far have failed. My daughter and I love to journal and be creative so we’re creating a set of journals on various subjects to celebrate shared art and creativity. 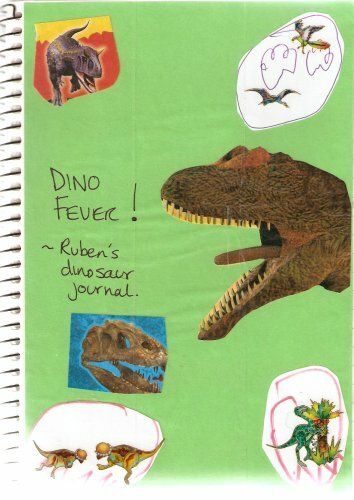 This journal is for my dinosaur-mad autistic son. It is blank and ready to be filled with whatever dinosaur inspiration strikes you 🙂 The first few pages have some dino art/thoughts in already and you’re welcome to add any art, words, stories, poems, songs, doodles or photos. Use as many or as few pages as you’d like to share your dinosaur thoughts. Please don’t alter anyone else’s work. Please make your entry and then relist here within two weeks. When this journal is complete please reserve it for me and I will mooch it back from you. If you are unable to complete the journal within time or have any issues with it please contact me here and I’ll mooch it back again. This journal is being returned to Bella, as her daughter, with whom she journalled, fell seriously ill. the slideshow contains all the entries made in it. June – the leafy month of June. June is the sixth of a set of journals I am creating to celebrate the months of the year. These will be released month by month. This journal was retained by a moocher who is unresponsive to emails and inactive. I hope to recreate it this June.